As a child, I took baths all of the time! But as soon as I graduated to showering, it was years before I actually returned to the tub. Honestly, I just didn't understand why people took baths. I didn't have the time for that. Who wants to sit in a warm tub for a long time?? Turns out, it is actually pretty fantastic! Everyone has their own reasons for hopping in the tub for a nice relaxing soak. And if you use bath salts, you are upping the whole bath experience! 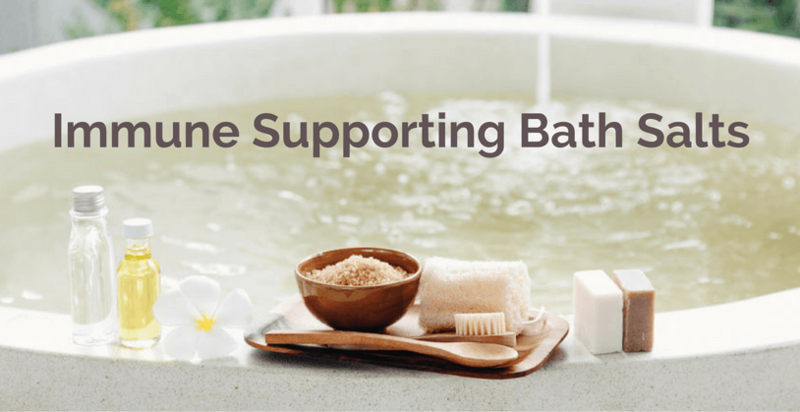 Epsom salts, magnesium more specifically, is incredibly good for our bodies! Throw in some lavender and you have a truly relaxing bath experience! But sometimes our bodies need a little EXTRA support. I know that I turn to a warm tub when I am feeling under the wellness line! There is just something about a warm tub that is just so soothing and comforting! Am I right? And then add to that some immune supporting bath salts and BOOM! The bath is now just what the doctor, or this momma, ordered! Most recently I created some immune supporting bath salts with Thieves, Frankincense, and Taste of Italy! Taste of Italy? Really? Yes! There are some great immune supportive oils in there! Sometimes we all just want to support our bodies to be able to perform and function as they should! Supporting our immune system is just one thing we can do to keep our healthy bodies healthy! 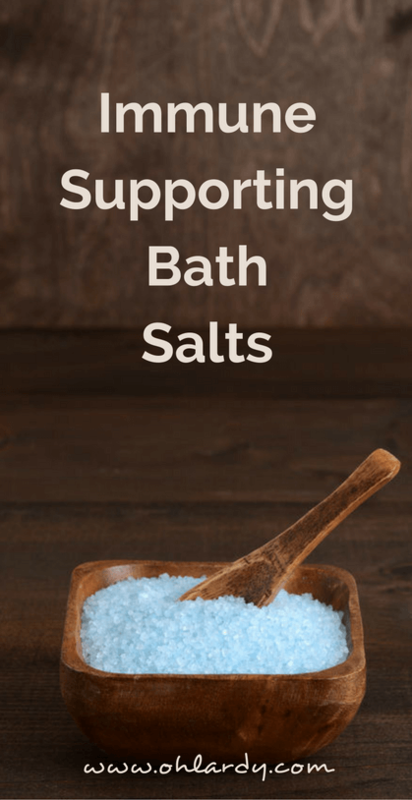 So, next time you feel like your immune system could use some support, throw these immune supporting bath salts into your tub and take a nice long soak! It will do your body good! And perhaps your mind and soul as well. Add the oils to the salts. Fill with hot water and ENJOY!